While the global trend is towards abolition of the death penalty altogether, where it is still applied international law, jurisprudence and practice require that certain minimum standards are applied. How can we strengthen these international minimum standards on the application of the death penalty? PRI’s new study examines recent developments nationally, regionally and internationally and suggests ways that death penalty standards can be or have been improved. 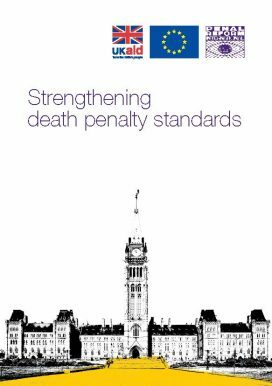 Each section describes the current standards, explores the issue in more depth and suggests ways in which standards could be changed to better ensure death sentences and executions are human rights compliant. PRI opposes the death penalty as a matter of principle, as the ultimate cruel, inhuman and degrading punishment, a violation of the right to life and a disproportionate sentence, we nonetheless believe that steps to restrict the use of the death penalty and some of its worst aspects are steps in the right direction.